Many of today’s service providers have begun switching to a monthly recurring revenue (MRR) model. However the only way to keep that money flowing month-to-month is to ensure that your customer’s data is available and safe 24/7. 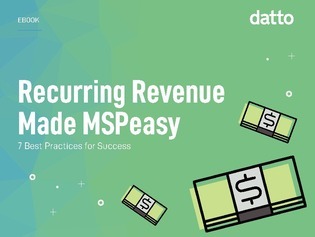 In this e-book, learn more about the MRR model and why using it to provide your customers with total data protection services is the smart move in the age of total data dependency.